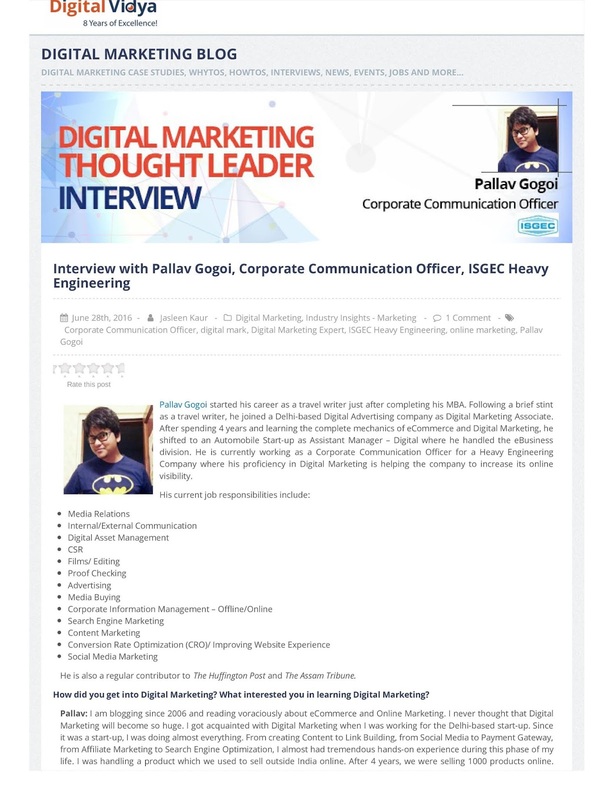 Interviews - Interview with Pallav Gogoi, Corporate Communication Officer, Isgec Heavy Engineering Ltd.
Digital Marketing is slowly but surely evolving daily. Most companies BIG, MEDIUM and SMALL are eventually making their efforts to establish a SOLID Online presence. With 11+ years of experience in Digital Marketing, I have just learned ONE THING – you never cease to learn new things throughout the process. 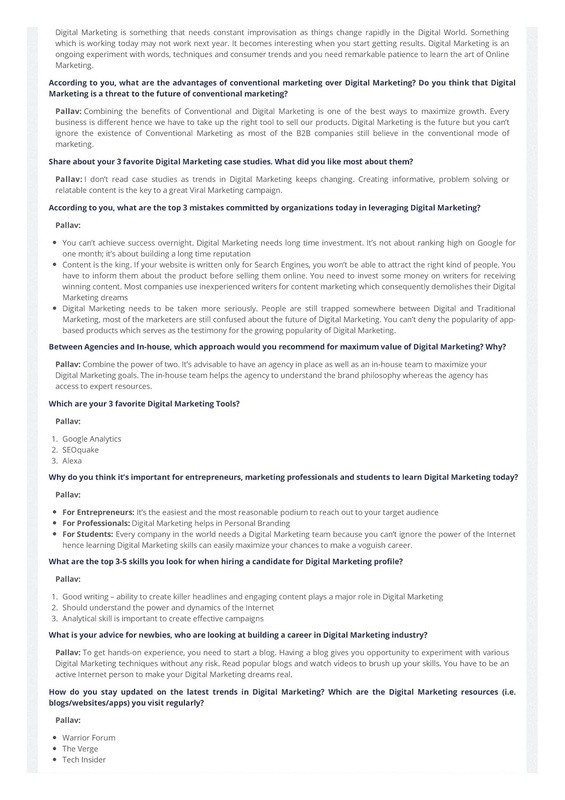 I have been interviewed lately by one of India’s Top Digital Marketing Institutes – Digital Vidya and I am equally excited to share the interview with you. [READ FULL INTERVIEW HERE] Interview with Pallav Gogoi, Corporate Communication Officer, Isgec Heavy Engineering Ltd.